Different Roads meets President Clinton! 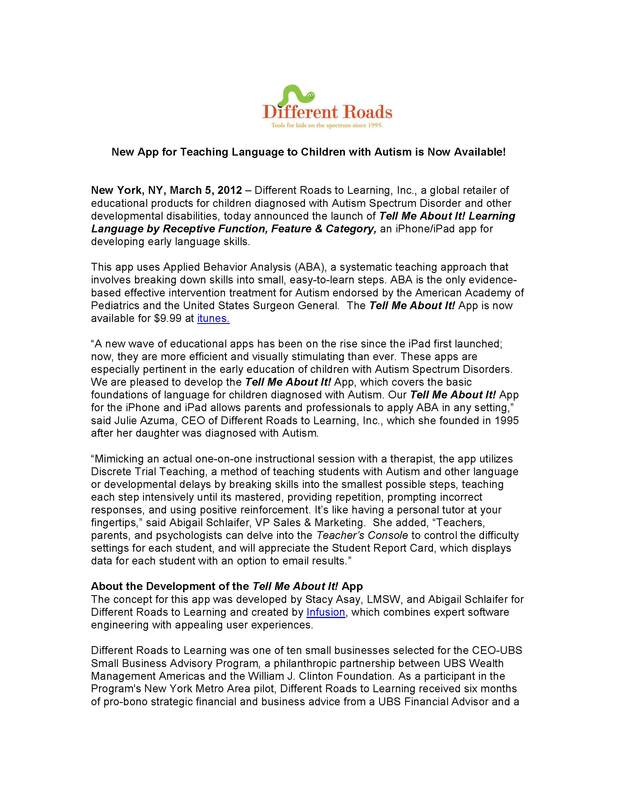 The UBS/CEO Mentorship Program Leads to the Creation of Different Roads to Learning App Tell Me About It! It’s been a really exciting few months here at Different Roads to Learning and we wanted to share some of the highlights with you. 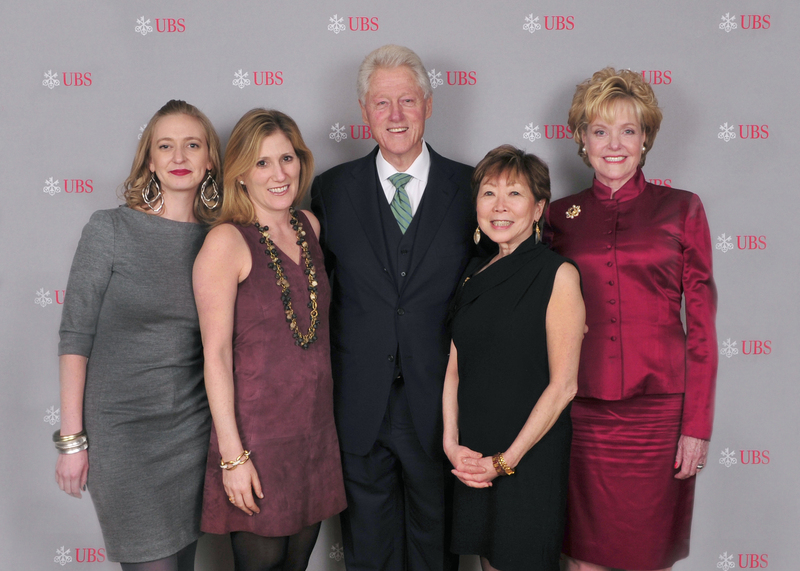 Different Roads to Learning was one of ten small businesses selected for the CEO-UBS Small Business Advisory Program, a philanthropic partnership between UBS Wealth Management Americas and the William J. Clinton Foundation. Our App – Tell Me About It! – was developed by the incredible and innovative talent at inFusion, and is a product of this program. The entire process was really exhilirating for all of us here. 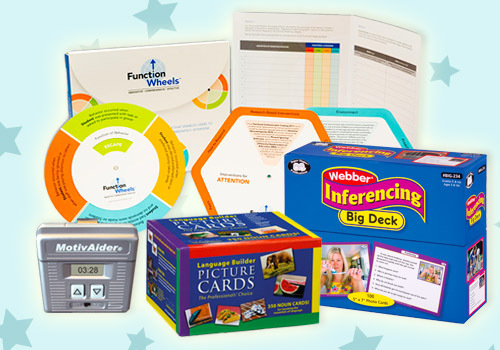 As a small business, we gained so much incredible knowledge and had the opportunity to work with a team of gifted individuals. 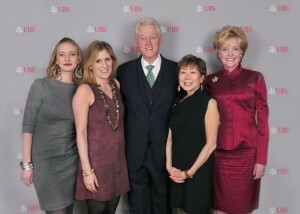 And to top it all off, our App was unveiled at a dinner where we had the privilege of meeting President Clinton! That was a truly exciting night for all of us. At the dinner, they even showed a short video about the making of Tell Me About It! which we wanted to share with you here. 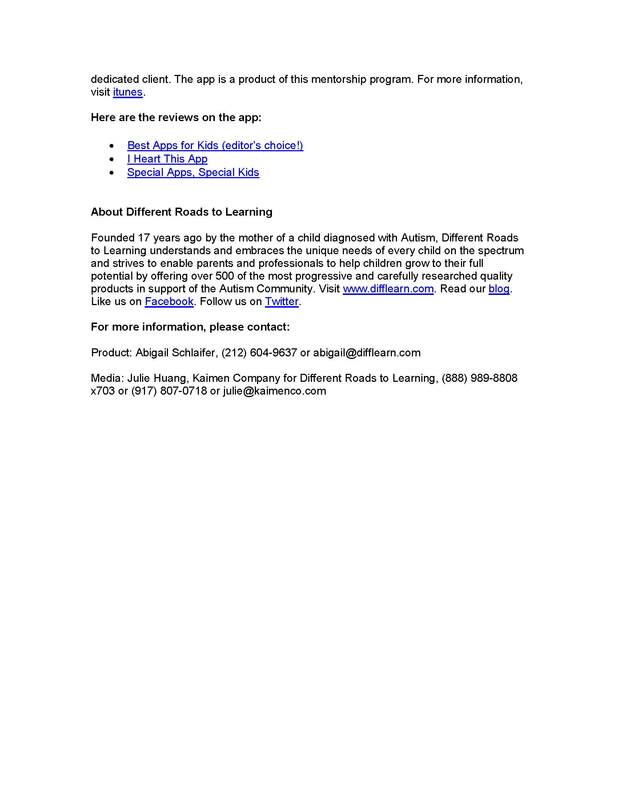 Along with interviews and demos, you’ll learn about how and why we created this App for children with Autism and a bit more about Different Roads in general. You can also read the full press release for Tell Me About it here. We hope you enjoy it! Everyone knows Julie, the president extraordinaire of Different Roads to Learning! For more than 16 years, she’s been sourcing new product, providing guidance and support on the phone, and helping families and organizations in the autism community. For those of you who haven’t had the privilege of talking to Julie, she’s an amazing storyteller. Every Monday morning, she has all of us in the office bent over with laughter or tears as she regales us with the stories of her weekned. As many of you know, Julie’s daughter Miranda has autism. The adventures that Julie and her family go through, the incredible highs and lows, are what inspire all of us every day. 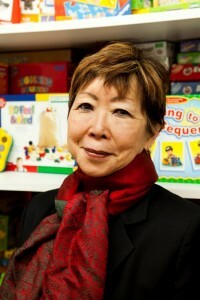 We’ve been encouraging Julie to share some of her stories as they’re what link us all together. So, here’s last weekend’s adventure…. 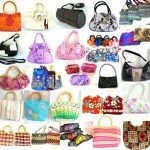 Our daughter, Miranda, loves handbags. She has a ton of them. Some boys on the spectrum love trains and cars, she loves handbags and hairbands. We have actually had to build storage for her handbag collection. I recently had to hide my handbags in the office closet to keep them out of her collection. If we go to Kohl’s or to Target, she knows she gets another handbag. She goes directly to that department. No matter how hard we try to say no, she always finds a way to get that handbag. 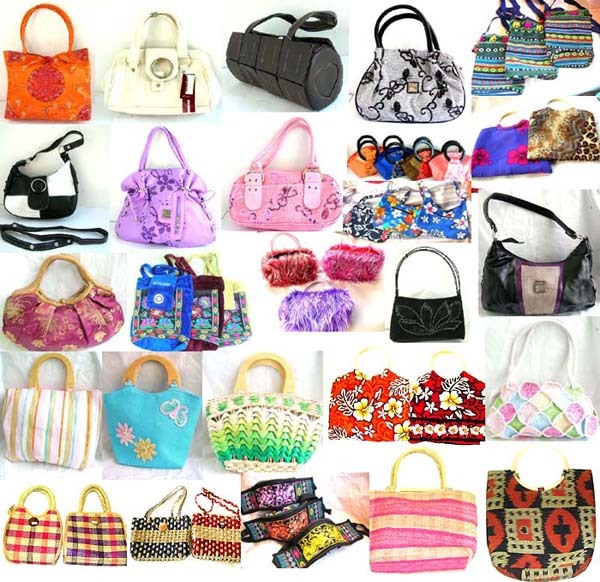 We go in for other things but come out with a handbag. Just before we went into the store, I reminded her of the other issue. No screaming!